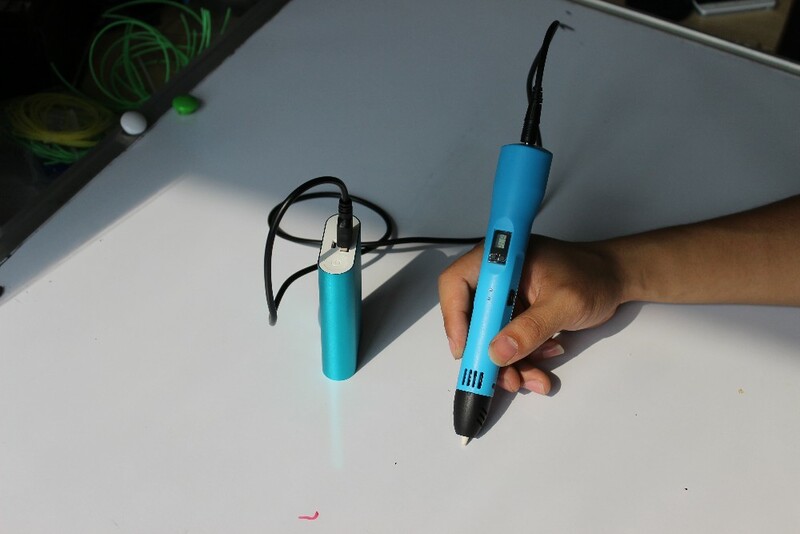 This 3D extrusion pen lets you create real life objects by using melted plastic. Simply insert a plastic filament into the pen, give it some time to heat up and melt it – and you are ready to get going. You can start by making simple 3D drawings on paper, but once you get the hang of the process, feel free to start drawing right in the air. The 3D printing pen comes with 3 free plastic filaments – so you will have enough material to get started with your project right away. With a set of simple controls, you will be able to adjust temperature and speed and see your settings on the LED display. 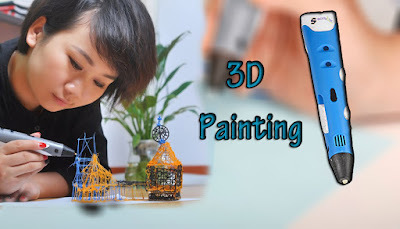 The 3D extrusion pen will be a helpful tool in your arts and crafts and decoration projects, fixing existing objects, gluing things together, experimenting with ideas and more. 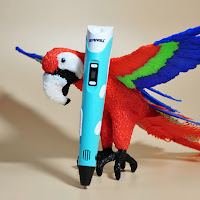 Plug in your 3Doodler 3D Printing Pen and give it about a minute to warm up. Then insert a strand of plastic into the back. There are two arrows and thus two speeds. Press the speed of your choice, and watch the plastic flow out of the3Doodler 3D Printing Pen. And then you just draw and connect and fill in and make magic happen. Wanna switch colors mid build? Just push both buttons and the plastic will eject out of the back. Slip in another color, print out a little bit (as the colors blend from remains of old color into new color, and then get back to drawing. You're too talented to just draw in two dimensions - kick it to the next level with the 3Doodler 3D Printing Pen.